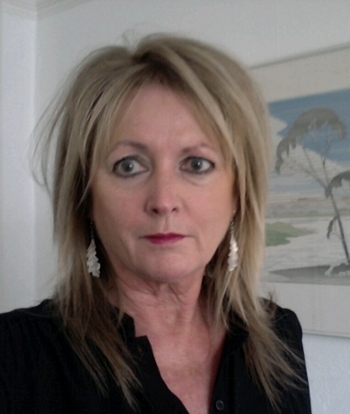 I hold an advanced diploma in hypnotherapy, neuro-linguistic programming and life-coaching. I have also trained to a high standard in solution focused brief therapy. Master class training in pain management. Master class training in working with children. Extensive experience working with people who have life challenging illnesses. 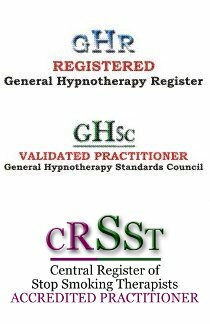 I am a professional clinical hypnotherapist and member of the General Hypnotherapy Register (GHR) and a validated practitioner of the General Hypnotherapy Standards Council (GHSC). I'm an accredited member of the NHS directory of complementary and alternative practitioners (CNHC) and am fully insured and have an enhanced DBS check. I'm on the Central Register of Stop Smoking Therapists. My qualifications are a Bachelors degree in sociology and social psychology, a Masters degree and a Doctorate in criminology. Before my career in hypnotherapy and NLP, I worked in the Criminal Justice System as a criminologist. The connection between the mind and body has always fascinated me, and the relationship between physical and mental health is a powerful one. It's a privilege to work with clients who choose something better for themselves and to be part of that journey of change. I regularly attend professional conferences, read the literature and keep up to date with the latest advances in the field. There is always something to learn from my colleagues and my clients. You will have an individual appointment with me and can be assured of discretion and confidentiality. I run my clinic from my home and with no shared waiting room, there is total privacy. My well appointed consulting room offers a comfortable, relaxing environment where you can discuss the changes you would like to make. No need to worry about the parking or additional cost. You will have a free space on the forecourt outside the clinic. I am also close to good public transport. The buses 1,1A and 6 stop on new Church Road - just 200 yards from the clinic. I'm able to offer flexible appointments between 8.00am to 8.00pm Monday to Friday and 8.00am to 1.00pm on Saturdays. I am also available for hospital and hospice visits. As a member of the General Hypnotherapy Standards Register and CNHC I fully adhere to their code of conduct and ethics.